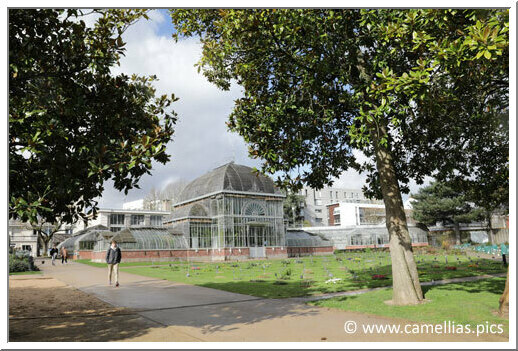 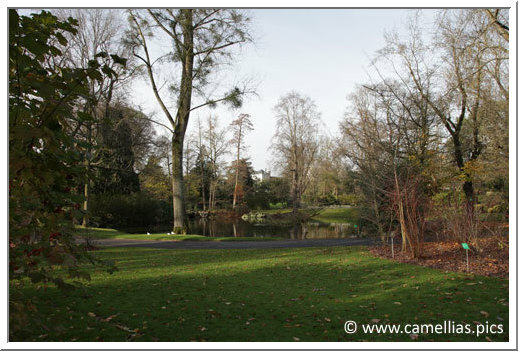 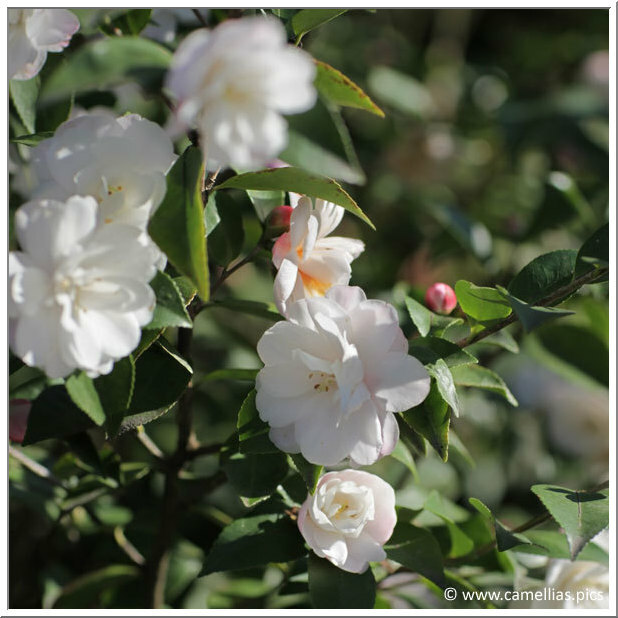 It is by visiting the Jardin des plantes de Nantes that I really discovered the Camellias. 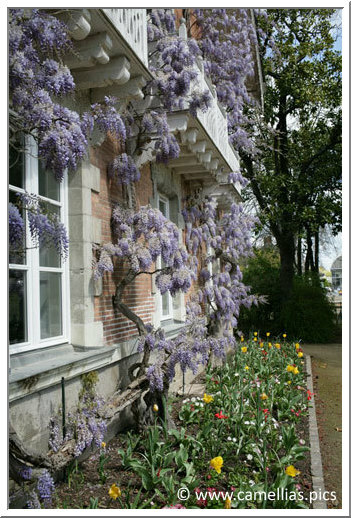 If it is particularly appreciated by amateurs, it is because of the great richness of its collection, which does not count less than 600 cultivars distributed out in 7 hectares. 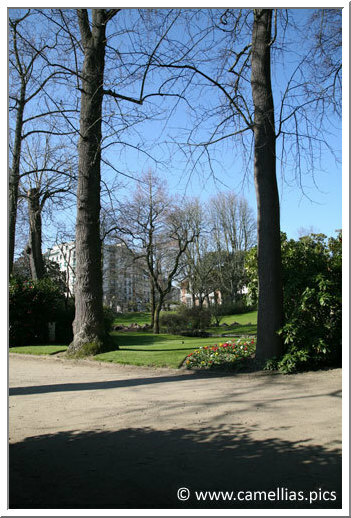 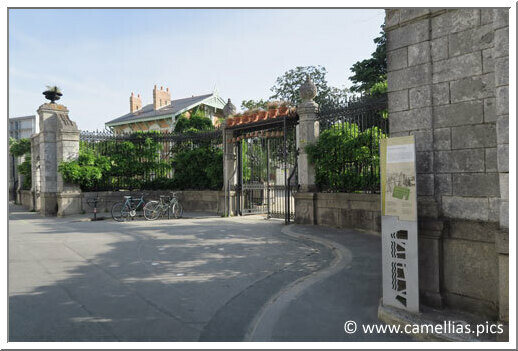 It is very easy to access, located just opposite to the TGV Station Nantes, 2 hours from Paris, rue Stanislas Baudry. 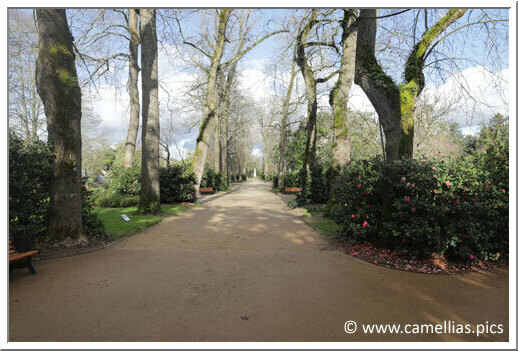 The visit is composed of two parts. 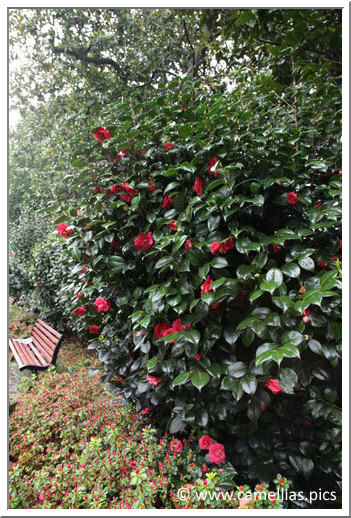 At the entry (western side), above, you can find old camellia cultivars and outstanding subjects. 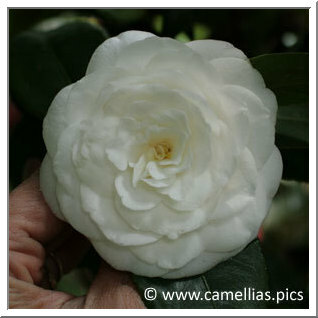 They constitute the majority of the camellias of the garden. 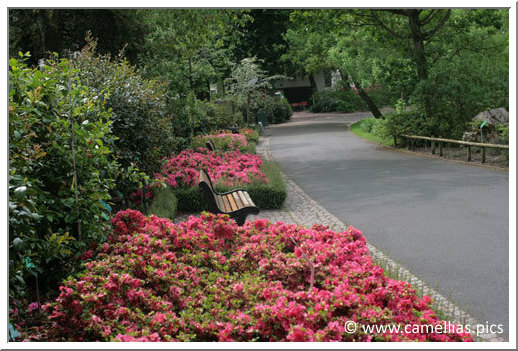 You will be able to stroll in the long alley and admire their flowers with varied colors and forms. 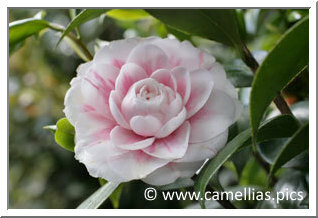 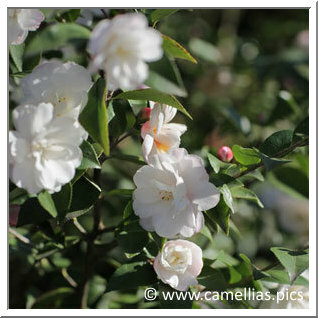 You can find there very rare camellias. 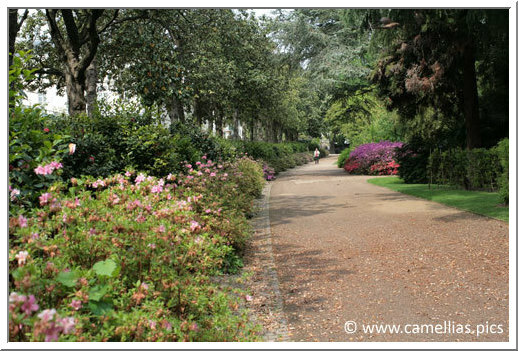 The garden if very vast and constitute a nice walk, specially in spring. 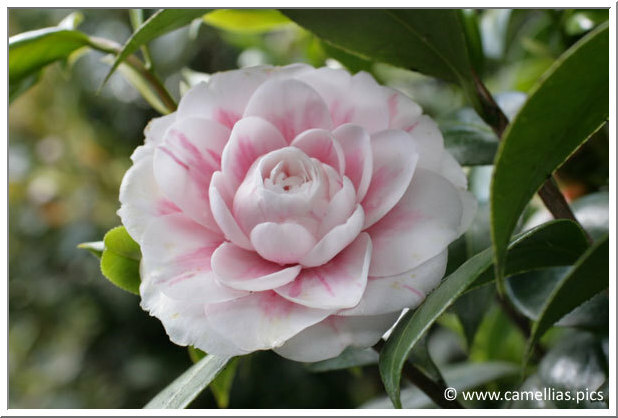 Camellias offer a long period of flowering. 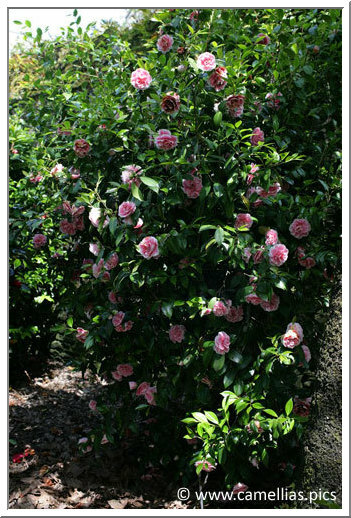 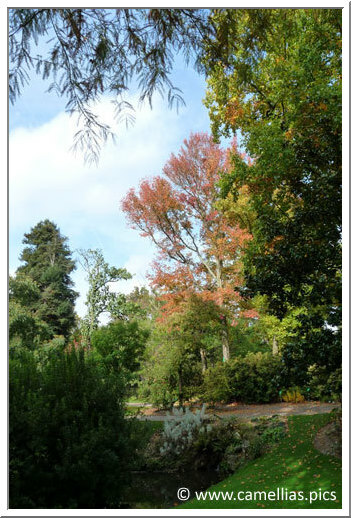 They can be admired from the beginning of autumn (Sasanqua), then during all spring with botanics, japonica and hybrids. 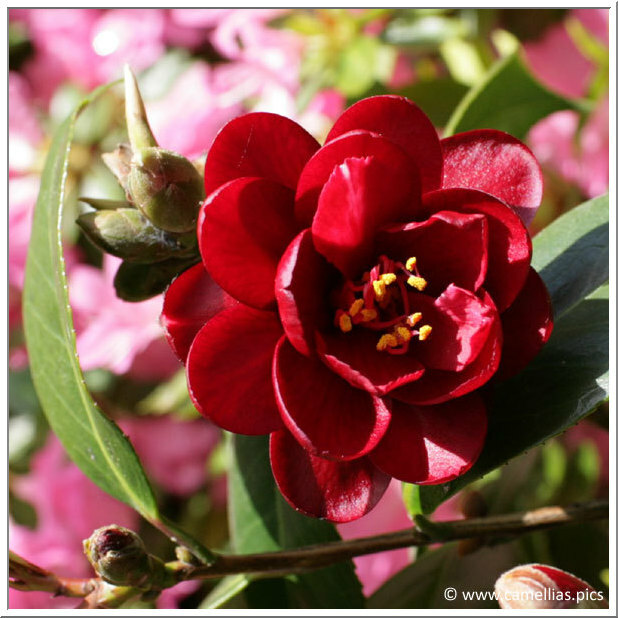 The best period is between february and april. 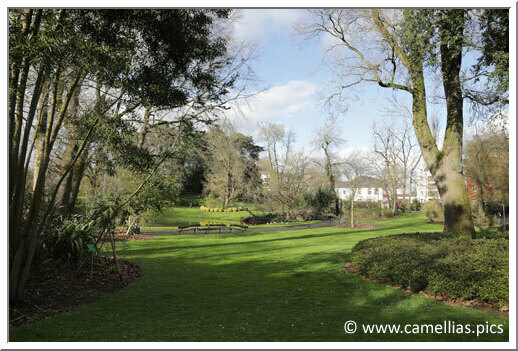 Below, some pictures of the garden. 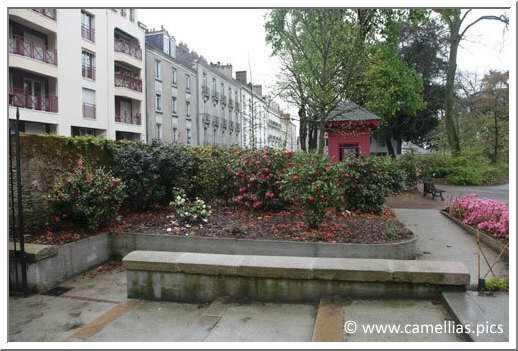 At the bottom right, the alley "de la Musique" which connects the large alley with the old camellias and one with younger ones. 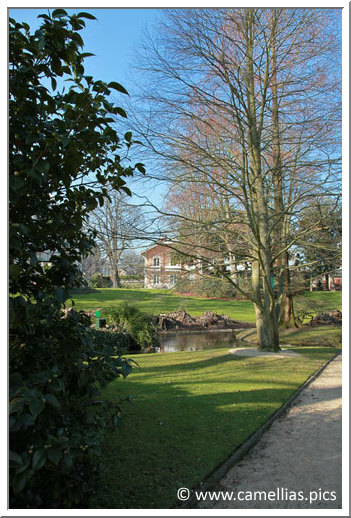 On the other side of the garden, while going down again, (est and south-eastern sides) you can find the second part of the collection, more recent. 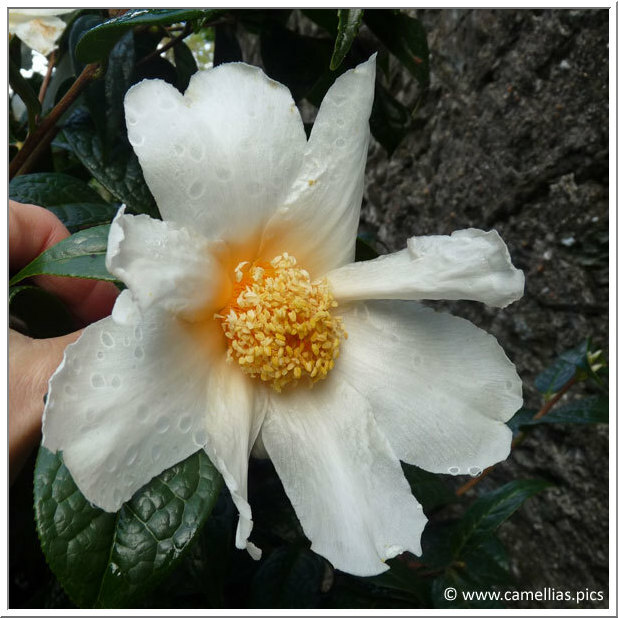 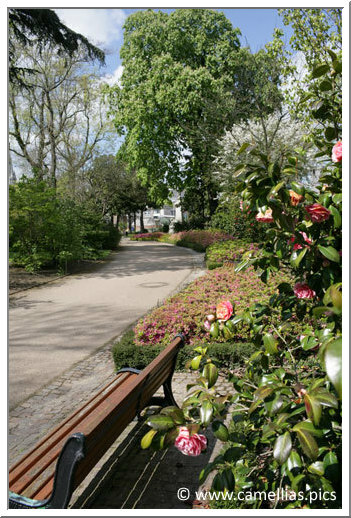 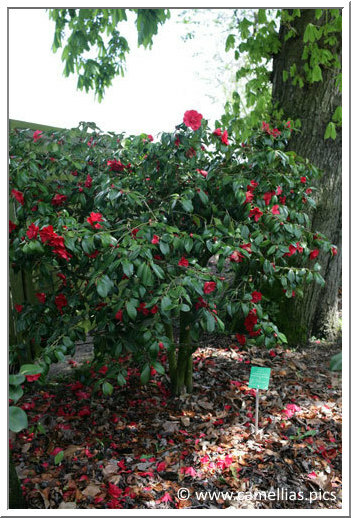 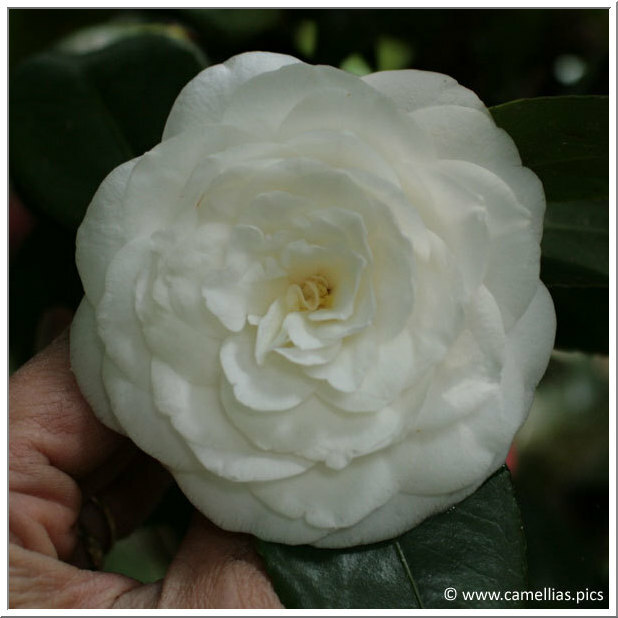 It was planted botanical camellias as well as more recent japonica and hybrids cultivars. 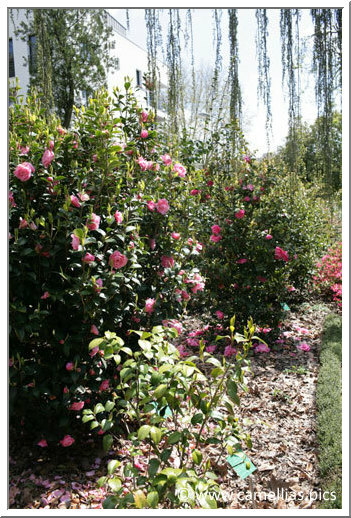 The collection is very varied and quite as rich. 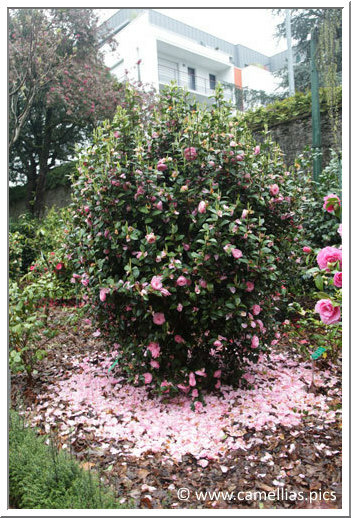 The subjects reach already a respectable size. 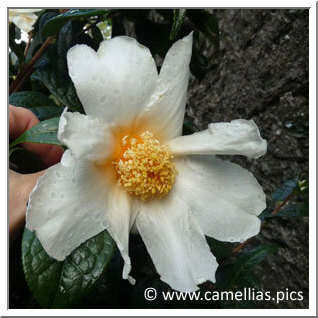 'Konronkoku', a very particular camellia, remarquable by its petals. 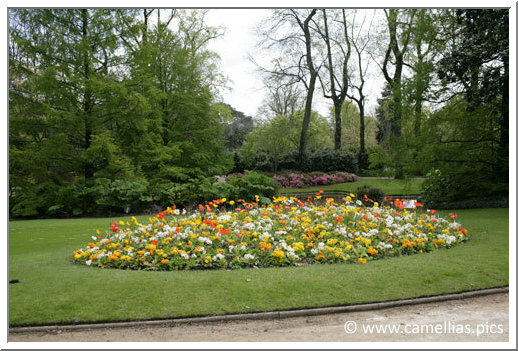 Here is a link to guide you in your visit. 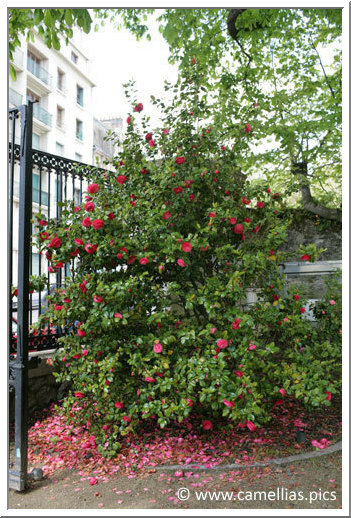 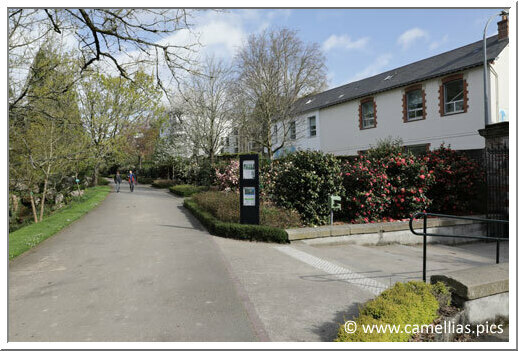 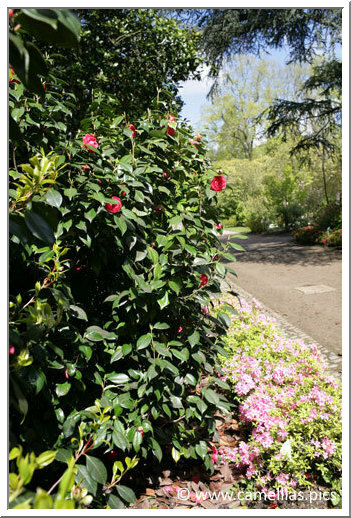 The town of Nantes has many other gardens where you can find camellias.